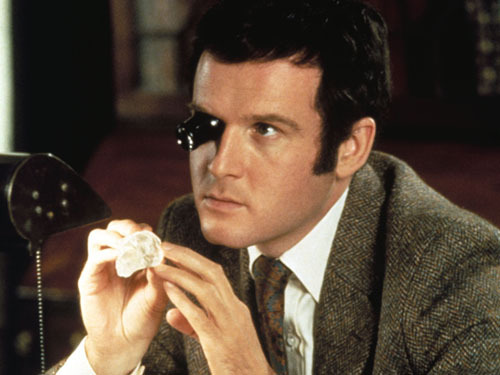 Fun, London-set comedy caper as Charles Grodin is blackmailed into getting one over on John Gielgud‘s uppity diamond merchant who resides in the titular street. 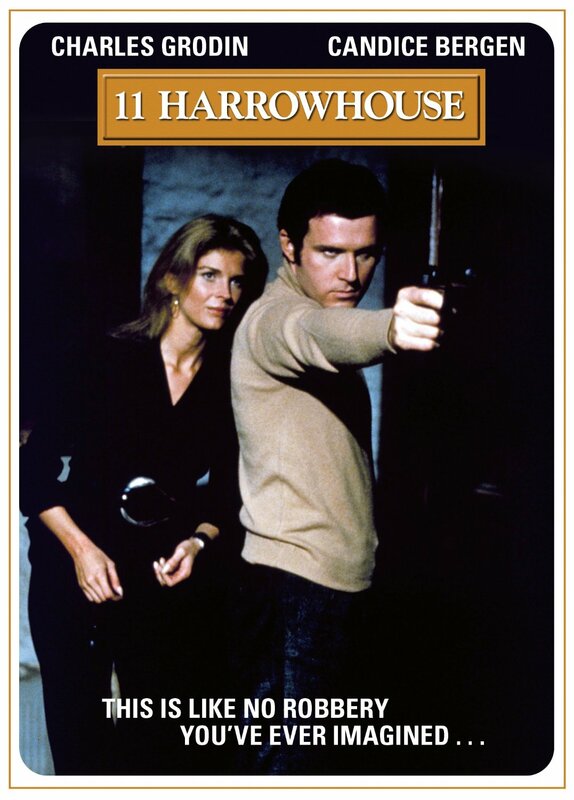 Grodin is Chesser, a small-time diamond dealer who is blackmailed by billionaire Trevor Howard into robbing John Gielgud’s gem merchants located at 11 Harrowhouse. 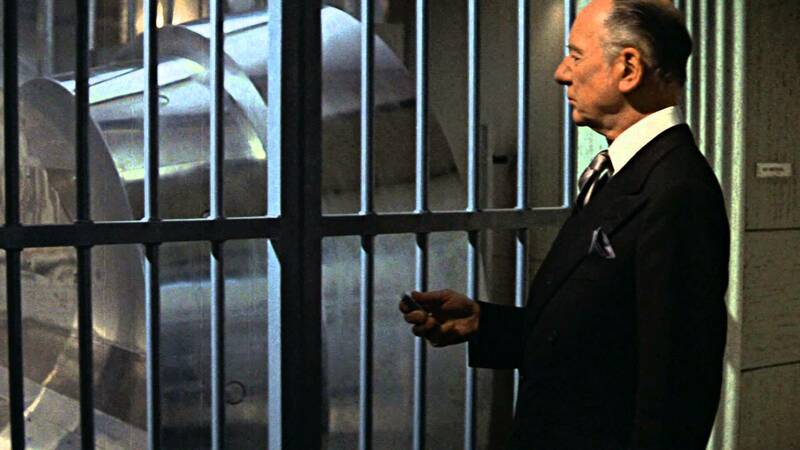 Assisted by his wealthy girlfriend – a deliciously attractive Candice Bergen clearly having a great time in the role – and James Mason’s convenient inside man at the vault, they use a painted cockroach and a vacuum cleaner to attempt the robbery. What’s not to like? One of the fun things about watching 70s movies, apart from mild nostalgia, is considering how they stand the test of time. Some reviewed here – “Sitting Target” or “Fear is the Key“, for example – while still entertaining show their age. 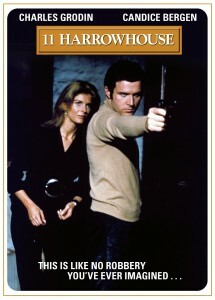 “11 Harrowhouse”, perhaps because of its more lighthearted approach, does more than draw attention to its years, however. It benefits from a self-aware narration. Grodin’s mournful commentary on what we are watching is wry and funny, an enjoyable trick that just about works. “Who are those guys with guns? They weren’t here before,” he laments when finding himself chased by thugs. Self-reflexsive cinema has a long history (“Sherlock Jr.” (1924)) that continues today (that would be you, Charlie Kaufman). “11 Harrowhouse” makes no attempt to explore this in any way that would help a budding student of non-diegetic film with a thesis to deliver. Rather, it deploys it as a soft comedy element, a gentle reminder of the unlikeliness of plot for entertainment value that us cinema-goers are asked to accept every time the lights go down. By contrast, watch “Last Action Hero” (1993) to get the same effect, albeit with a nuclear-powered hammer drill. There you go, film students, I’ve given you your start.